The lawmaker representing Zamfara-Central Senatorial District, Senator Kabiru Marafa, has expressed his support for the position of INEC that his party, the All Progressives Congress (APC), does not have candidates for the 2019 general election in Zamfara State. Senator Marafa, who is a governorship aspirant on the platform of the APC, confirmed that no primary was held and there was no consensus arrangement reached among the party’s aspirants in the state. 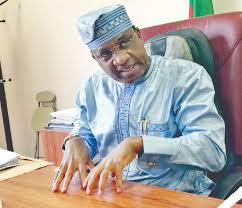 Fielding questions from journalists in Abuja on Thursday, Marafa said, “I read the letter from INEC where they quoted sections of the law that influenced their position. I also read the response made by the APC National Chairman (Adams Oshiomhole). I want to believe the chairman has been misled by the APC’s electoral committee that went to Zamfara. But as a stakeholder who was present and witnessed the whole process that happened, there was no election in Zamfara on Saturday, October 7, 2018. He said, “I’m an APC member to the core, and I’m still with the APC, notwithstanding that the chances are becoming bleak, maybe for me as a politician. But I believe in the party. If the party does anything wrong, I should have the courage to say this thing is wrong. If the party has any way within the law to fill in any candidate, I will be happy, but not when the issues are based on a wrong foundation. So, let us address the issues the way they are. “We are going into elections and the desire of every party is to win and win without any litigation, divert attention and waste resources. I would not want to see one happening to me. So, by and large, the only thing I saw wrong in the letter is the assertion that there was a consensus. There was no consensus. We are governorship aspirants but some people stepped down.